Forrest has stated everything in the poem is deliberate and placed there for a reason. Along with the words of the poem, the commas, semi colon, and the apostrophes’ all play their part to unlock the poem. Forrest also said all you need is the book, poem, Google Earth, and a good map, a good map is an understatement, it must be the right map. Forrest served in the military, the military uses topographical (topo) maps, because they show greater detail and information about a given area. However, it is not just the type, but what edition to use as well. Forrest tells us he got cancer in 1988, and during this time, he began his plans for the chase. The right map to use for the chase is the USGS topographical map edition of 1988. The reason for this edition is it contains information that later editions change or do not show. What is so important about using topo maps is elevation. Forrest has told us the treasure is between 5000ft and 10,00ft, the places on the map we are looking for to correspond with the poem’s clues are altitude markers. My War For Me, notice how Forrest mentions his altitude frequently during the story, what makes the 1988 edition so important over the other editions, is how the altitude markers are hand written, and marked with an X, verses no X and block printed in later editions. “Begin it where warm waters halt”, is the starting point to identify the first altitude X marker. Forrest has made statements that have confused people to which stanza has the first clues. This is because the first stanza contains the first two clues given by the poem, but the second stanza is the starting point for the first X on the map and the poems path that gives the answers to the two clues in the first stanza. The drawing associated with the story, Teachers with ropes, is the hint instructing what to do, connect the dots. The drawing shows the teacher with her hand up to halt the car and she and the six students connected by the rope. Forrest said, looking for the blaze first is a waste of time, because solving the clues shows the blaze, and when you recognize the blaze, you will know how to find the chest’s location. The little girl from India hint, Forrest said she could not get any closer than the first two clues, and if you do not know the first clue, to just stay home and play Canasta. The first stanza contains the first two clues, and it is not until you identify the other seven clues will you know what the first two clues are. The first two clues are the blaze, and the chest location. That is why, the little girl from India, cannot get any closer than the first two clues, because if she has solved the first two, it is because she has also solved the other seven. “Begin it where warm waters halt and take it in the canyon down,” three locations: Gallatin National Forest, Lee Metcalf Wilderness, multiple lakes that flow down Beaver Creek, and end in Earthquake Lake. Down from where the waters converge, is a waterfall, and near that is the first altitude X marker, or number 1, altitude X marker 6901AT. It is important to note, the altitude markers have an X drawn on the map with them, and the only letter not used in the poem is X. We are looking for “treasures bold”, and treasures are the X’s printed on a map. “Not far, but too far to walk.” From the first X, look for the next X following the water down, the comma tells us it is not far, and associated with walk. Also following the canyon down from the waterfall, is a walking trail, “too far to walk.” follow it to our next altitude marker 6907T, NFBTFTW, is seven words, and where the trail and road meet is the X. “Put in below the home of Brown.” Near the second marker 6907T, there is an old Ranger cabin. A cabin is a home brown in color, and we are looking to put in below for the capital B. Below the cabin, and put in below Boat Mountain, we have altitude marker 6818T. If you look closely at the map, you will see that the hand written number 8 next to the T looks like a capital B. Tea with Olga here our black X’s have merged with red crosses or t’s, and the red crosses are called Found Corners, they now mark the altitude. Also from Teachers with ropes the phrase “do not touch” is in red, connect the dots with red lines. “From there it’s no place for the meek,” the apostrophe in “it’s” means two are tied together, from there to here, follow the red line to Ghost village, “no place for the meek,”, and to next red cross altitude marker, 6404T or 640for t-he meek. “The end is ever drawing nigh;” Going left from here, following the red line, we arrive at our next altitude marker, this marker has an arrow “drawing” or pointing to it, marker 6398T. The semi colon means this point and the next point perform same action nigh. “There’ll be no paddle up your creek,” From the current point, there will be a red cross, and with “no” number, but the apostrophe tells us to go two red crosses up your creek. Continuing nigh, take a diagonal line from 6398T through one unnumbered red cross and stopping at the second red cross. “Just heavy loads and water high” is Boat Mountain, and “Just” means to adjust to center altitude X marker, 9019AT near the red cross. “If you’ve been wise and found the blaze, “ If you were “Wise”, then you are now X, and with Found Corners found the blaze. X’s and found corners tied together. “Look quickly down, your quest to cease,” follow the red line down to the last of our 7 points, 6547T. Now, connect all the points to see the blaze. In addition, notice next to this point, is a gauging station for the Madison River, but on the map, it is misspelled gage. The definition of gage: a valued object deposited as a guarantee of good faith. Sounds like an I.O.U. The blaze is a cursive capital f! But we are not finished yet, back to the first stanza, and to find the chest. “As I have gone alone in there and with my treasures bold, I can keep my secret where, and hint of riches new and old.” “As I” is f, and you find his blaze by finding the treasures and connecting the X’s. “I can keep my secret where and hint of riches new and old.” I keeps his secret where and hints of where to look. The I is the eye from Forrest autograph. The area we are now in, is Refuge Point, here is the sign at the entrance to the trailhead, see the picture of the man parachuting in, seem familiar? Forrest says the chest is 10” by 10”, and this, along with the eye in his signature, tells us altitude X marker 6610T is the spot. However, we must adjust, “Just take the chest, altitude X marker 6610T, and go in peace.” Below X marker 6610T, there is a grove (leave my trove) of trees in the form of a cross (peace), which can be seen in Google earth. Center tree of the cross, a good place to sit and think in the wood. All of this is simply my opinion. This entry was posted in Other Searchers and tagged Clues, Explore, Forrest, Forrest Fenn, hidden treasure, Hike, madison., nearindianajones, Poem, quake lake, thrill of the chase, Treasure Hunt, yellowstone by dal. Bookmark the permalink. Thanks for sharing. But Forrest never said you need the book to solve things. He has said that it would be helpful. It’s helpful in that there are subtle clues, for sure. (I believe that’s what he’s quoted as saying–that there are subtle clues.) But definitely not required. Where was Fenn’s old cabin’s? Well Indianajones, I do hope you find the chest. Thanks for sharing. I think I’m going to commit myself, I mean really! I am more confused now after reading your solve, just plain confused! Saids to me you need to put a end to TTOTC. pleace go get it so I can rest lol. Rest, I’ll give you REST, because I never rest! So welcome to the sleepless Thrill….whoever you are! Yeah…. I can see the stampede now. Good luck! Yup….hope those two or three people who are “confused” about what (and where) the first clue is don’t trip over each other getting to that grove of trees. You get an A for imagination. Thank you for sharing your solve. Best of luck in the future. Enjoyed your story, NearIndianaJones. You put a lot of thought into this. Thank you for sharing. I’m in total agreement the 1st stanza has some substantial meaning for later on in the solve. Thanks for sharing. Your so sweet smoky Bear! Good hunting and watch out for Forrest fires! Should I stick a fork in me? NIJ, have you searched the area? So, should you follow my solve and return the chest to Forrest. Do me a favor, ask Forrest if I could paint a portrait of him and Peggy, for a small fee of course. So just to be clear, you spent 4 years on a solve and posted it here, but now your going to abanodon those years because you have other things to do….? If you want other to have faith in your solve don’t you think you should? BTW FWIW I think your solve is well thought out. I love pouring over maps. When I was young the Atlas was my favorite book. Any solve that involve detailed maps is on the right path. I’m not sure how you determined Gallatin National Forest was ,warm waters halt? Yes. Why? Done to a turn. Thank you for sharing, NearIndianaJones. I can appreciate the use of altitude as an important factor. Would using a specific historical topo map count as knowledge of local history? I can see it being interpreted both ways as yes and no. Thanks for sharing. Reading this was a pleasant way to start my day… makes me want to pack the truck and head to West Yellowstone. My wall which was formerly covered with maps of the Carson National Forest is now covered with maps of the Gallatin National Forest. Maybe I should use a heavy marker and draw all the paths / solutions used by searchers over the past 7 years who have posted their solves here on Dal’s blog and see where the lines cross. Good luck in 2018. Well Dal sounds good to me. Thanks for sharing this with us. The most beautiful rainbow I have ever seen was over the Gallatin River one morning many years ago. It is a beautiful place. Was this sent in to Dal or Forrest? Who thought it would be neat to publish on the blog? I see some interesting ideas in here. Although, I use a different and more detailed Topo. Lots of work but there are also lots of statements that are wrong. But who knows, I do not set here holding the chest so “maybe”? It’s easy to appreciate the effort you put into this NearIndianaJones. I love map solves that involve X’s 🙂 Thanks for sharing! Thanks for sharing NEARINDIANAJONES. Your use of topographic maps was spot on. Topo maps have changed many times over the years and the new approach to remove all historic manmade structures is troublesome. The incursive F approach, by connecting the dots, was a fine use of the imagination. NIJ- I like and/or share some of your ideas… I believe the blaze is a symbol or character formed on the map by the locations associated with clues in the poem; I think the LGII may not be able to get closer either because the first two clues are the closest to the treasure, or because the first two clues are equally the most eastern locations; and I’ve long been suspicious of that eye in the signature and have used it in a solve or two…. but the premise that a particular map is needed is not supported by Fenn. He said the a good map OR google earth would be useful. I do think your general area is a good search area and the Refuge Point sign raises my eyebrows! I think the “good map” hint is very intriguing, and the original poster did a nice job of putting a lot of thought into what a good map means. Recently, I have been thinking about what a “good map” means to a pilot. Is it possible that for a pilot a good map is one of areas with consistently high winds, inversion layers, etc, rather than maps of land? I’m not a pilot, and these are very nascent thoughts on my part. Why? How did you conclude this is the location for wwwh? Beaver creek for Brown… fenn’s childhood vacations only… What brought you here on a Topo map out of all the other areas that have similar converging of waterways? Fenn did say; you won’t know you have the first clues correct until you find the chest… an obvious gut reaction is you ask me… but, you have a solution right to a patch of trees [ designated by the blaze design ]… How can you be sure your WWWh is correct? Who could remove or even attempt to move lines on a map [meaning a searcher]… nevertheless… fenn saying if you found the blaze the distance to the chest would be obvious. This seems to imply the blaze is something on site, and not lines drawn on a map to create a letter. Yet further, fenn followed the clues… Why would he need to? He created the clues, and as you explained, your clues references are found on a map… why would he need to follow any clues at all [in your theory], if he could just walk to a group of trees he knew about beforehand -?- and with the distance between your reference, done in one afternoon? Your actual blaze seems to be 6610T X. Yet, you now have to “adjust” to that group of trees… how large is this area? I mean, the fallen trees in the satellite image could be 40 to 50′ without their toppers… a guess of over 2000 sq feet of land would need to be search with no real reference to any 10″ spot. You are also relying heavily on a comment that is years AFT… As if putting an X on the map, comment… Would you even have thought of these types of X references for clues, just from the poem and book? I like the idea and the approach… but it doesn’t seem to fit many things we have been told. Especially the blaze itself. I hope you didn’t might me dissecting your solution… but, I would think that might be the reason for posting it on the blog… to get other’s opinions. IF not…well…. Hey, great job! Very generous of you to share this! Best of luck finding the treasure! after my first trip and then add a dozen more to ponder. It’s never been about what I think, but what he thought, and I can only hope to match his imagination. Many of us have been attempting this for some time now. It can be a kick in the gut when we have put effort into an idea, and fenn makes a comment or answer a Q&A and it reflects hard on our original thoughts and theories. Like I said, I did like the approach… it was mainly the blaze that didn’t fit fenn’s prior comments. Even though I like the area… you never really explained how you got there in the first place. I can only assume you used beaver creek for a reason or fenn’s family road trip… But I am curious to why this location of MT and not a similar location in YSP or CO, WY, NM… something must have said to you…MT is the place to be. streams, creeks, or rivers into a lake… and warm is a temperature… how does the temperature halt being warm? Moving waters always seem colder to me than stand waters. Is there another reason for ‘warm’ in your theory other than temps.? That’s where warm waters halt is between 5 and 10 k ft. But you need to know where he went before you can find that spot. Well done. It takes gravitas to put your obsession out there for everyone to read. You should feel proud of the time and energy spent on this. I have taken the actual drawings in Forrest’s book and married them to my location. As in, matched them really. I’m not nearly bright enough to use topo maps….I’d probably end up in Antarctica if I tried. MikeMike-every time I see your name I go into my kids bedroom and raid his Mike and Ike’s….did you do that on purpose? So much for my resolution. But I warn you I can’t spell so you have to read in between the lines or draw pictures lol. I went poking around Refugee Point two summers ago. Your solution makes me wonder how would Forrest know that someone had been 200 feet away from that stand of trees if that is the end of the clues. What would they tell him in describing their visit to Refugee Point that would tip him off to their proximity to the chest? There is a hiking trail there but it’s not near those trees. Thanks for sharing , Nearindianajones. It’s interesting to read other searchers approaches to the poem. Great solve if you pull it out let us all know. Imaginative – check, likely (Occam’s razor) – nope, Nope. I commend you for your courage to post, thank you, I liked your map ideas, but some trapeze logic with some clues, and just not likely. How do you resolve his ATF comment about ‘no other way’ and he ‘followed’ the clues…you’re saying he just went to the end. Also, you realize hundreds, if not THOUSANDS of searchers have been to the area? Statistics suggest not likely so many would go by (albeit maybe the ‘reasons’ still allude us all). Since it sounds like you didn’t go yourself, I’m guessing photos were Goofy/Dal’s, which thank you, I had not read about Refuge point, interesting history lesson. The treasurer is located somewhere on the map . Question is , are all the Clue’s locations on the map? Could the first clue be a starting point not associated with the map that eventually takes us into the Rockies? Even if perhaps it’s a person place or thing? My question is is the poem associated with any man made objects.I know the TC doesn’t what about the poem. Jerry, Nice write up. Sorry I took so long to respond, but I have a lot of things going on out here on the East Coast. If I had to pick the top 10 people I think deserved to find the chest, you’d be among them. You and your wife were so kind this last Fennboree, and I enjoyed our time together. If our paths never cross again (not saying they won’t), then my hope is… from one Army soldier to another… that you will always win whatever war comes your way (old military metaphor). Thanks for posting – very interesting. This same location also has some interesting points when you overlay a Tarry Point image over it similar to link below. If you carefully size the Tarry Point image, it overlays with some really fascinating results. If you watched last night’s interview on ABC Nightline, at the 8:23 mark, Forrest said “Well, I will give you a clue. Try to simplify it if you can. That’s good advice.” I wonder how simple we need to keep our solves to the poem. At the 7:01 mark, FF said ” And grizzly bears alone are something to think about.” This is the first time I recall Forrest mentioning the threat of grizzly bears when a person searches. Is this what he was referring to when he said at the end of the video at the 8:32 mark, “I’ve said more than I should have said.” Is this the BIG clue he gave out? The treasure is hidden in potential grizzly bear country. Of course, he said from the very beginning of the search back in 2010 that the treasure is not hidden in a dangerous place. So maybe in grizzly bear country but not necessarily in a remote area of a known grizzly bear habitat. Hmmm…. The question to me off camera was, “What if I go in a cave and there’s a grizzly in there,” and my answer was “get the grizzly out first.” It was light hearted repartee and was not meant to be location exclusive. And besides, how can you be sure there are no griz in NM? He apparently did not want his grizzly comment, five years ago, to exclude any states. Do you think he changed his mind?? Could be Cynthia…but who really knows. What is the main motivation for you giving up searching NM? Is it just your gut speaking…or has your interaction with Forrest given you something more solid? Just curious…. Thanks for your responses Cynthia. You are one of the class acts for sure. I don’t think DG scares easy…but I am sure her head is now on a swivel! I think you could have been one of the searchers who was within 200 feet of ff’s treasure chest. I was wondering if I could borrow an article of your clothing for my blood hound Molly to sniff so she can lead me to the 200 feet spot. If I get that close (between clue 2 and clue 3), I will find it!!!!!! The race is on, you know? But don’t go when it’s dangerous. We should synchronize our time so that we both arrive in West Yellowstone within the same hour… then the race would really be on! hmmmm…this may show up twice. The first went to moderation and I’m attempting to figure out what I did? It contains one link, to dal’s site, and no bad words? Thanks, Loco for sharing this… I had forgotten. You asked, Do I think he changed his mind? IN MY OPINION, ever since NM Police Chief Pete Kassetas got involved in a very negative way, I’ve felt that Forrest is trying to direct the search elsewhere. When he publicly said that the treasure is not in the desert, I felt like he was tacitly directing us out of the state of NM. (However, there are many areas that are not desert and very mountainous, so maybe I’m wrong.) A couple years ago FF said he wouldn’t publicly say the treasure chest was not in water because it’s too big of a clue. Then last summer after Pastor Wallace died in the Rio Grande, Forrest did in fact publicly state the chest is not near the Rio Grande and not under water. And around this same time Forrest said it (the treasure chest) is not in the desert. Your question to me was “Do you think he changed his mind?” Yes, I think he changed his mind but won’t say anything more definitive because it would be too big a clue. This is in my opinion! Nice! But…all jokes aside…caution is always an outdoors person’s best friend. I’m not sure I would necessarily view the Nightline statement as a hint that the TC is in grizzly country or a push away from NM. The context of his statement was him lamenting that he ” didn’t anticipate that people would die searching”. Since that is a reality now (people have died) he seems to be saying that he is thinking about other potential ways folks might get in trouble. Montana and Wyoming see a lot of search pressure so it’s logical for him to consider site specific threats there. Whereas water can be a universal threat whatever state you search. Color, You are probably right… I jumped to conclusions. Plus, Forrest knew that we found the grizz cache during the search along Grayling Creek so he could have been directing that comment to that particular search. ABC had about 6 hours of footage of Dal and me and none of us knew ahead of time what they would choose to use. I plan on checking out Cabin Creek on my first visit this year, hopefully in May. 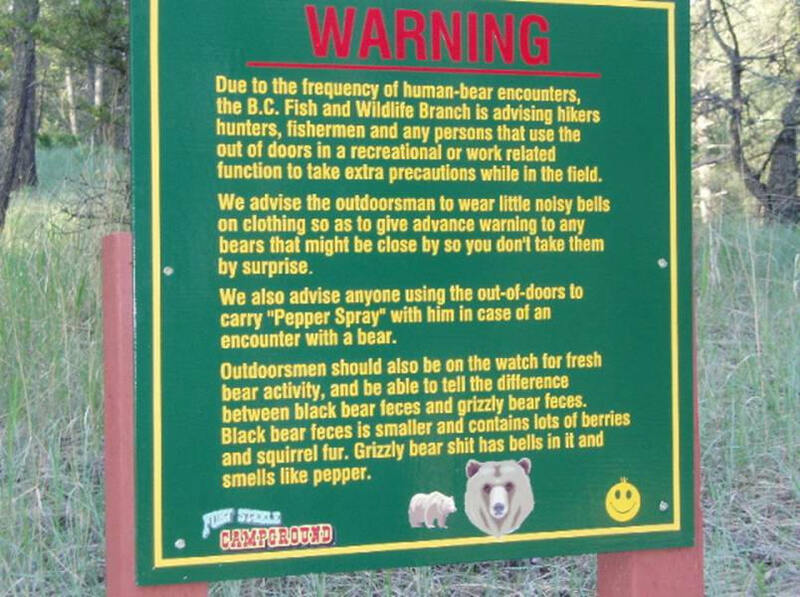 I will carry my bear spray for sure. It won’t be the first time I have hiked in Griz area, and wouldn’t be a first encounter with one. They scare me, a lot. But not enough to stay home. I just found out about this treasure hunt. Fun stuff that I will never be able to do myself. I immediately grabbed a topographic map and used some of some keywords in the poem. I found white river forest national park. That could possibly be linked to the river they referred to and the wood that he refers to. I then looked and found a place called Newcastle what could be referring to the new and old and possibly the riches castles or tend to be referred to the rich people. There is also a place near there called right might be referring to the meek reference. From there I found two reservoirs rifle gap reservoir and grass Valley reservoir. 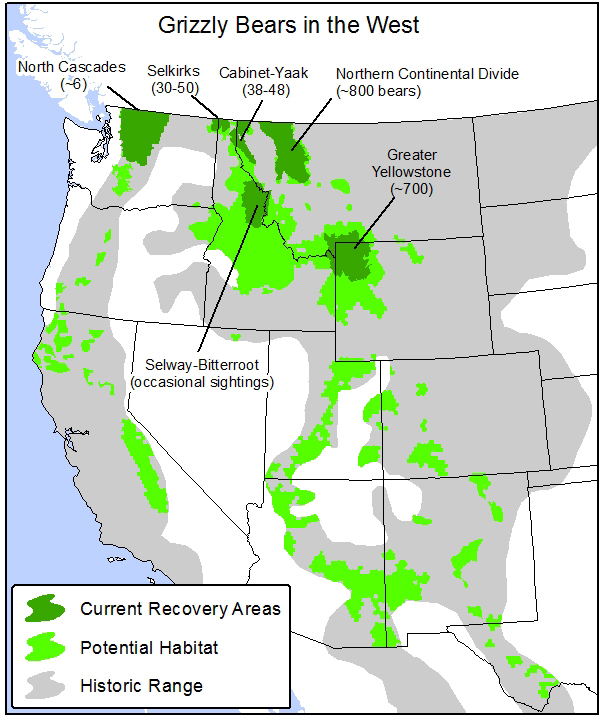 I’m wondering if anyone has ever looked in these areas because they are all above 5000 feet in less than 10,000 feet. I saw that He said it’s wet and mentions large loads and high waters. Reservoirs are full of large loads of rocks, and full of see waters. Has anyone looked around these areas, especially in the waters? They are fed my canals, which could be called a creek as well. I’m the type of person that doesn’t see the glass half full or half empty, I just see that there’s more room. You need to think of areas where a grizzly would be alone, not as a group. Maybe it’s just a statue of a grizzly somewhere, a totem, ect. “Alone” is an expression used in FF flavor of speech…not to be confused or to be taken out of context here. For safety and for all reading…The true danger in the woods are bears. Period! So not to be confused with a bear “singular”in any way, shape or form. Please be sure to be safe and always keep BOTH eyes on a look out for bear(s) in the woods. They go where they must to establish a territory,especially when adult bear don’t want to share with youngsters,they run them off so they must travel to claim their own digs. I pack a 12 ga. with slugs to claim my area. True, there is a grove of trees at the location. In fact there, there are many groves in that location but what drove me there were the Aspen groves just like the ones FF has all over his property. Unfortunately, me and four of my cousins hit ALL the trees on that ridge, down the slope, including the cross like trees pictured here in grid formation two years ago with our Mindlab detectors…No treasure chest. The area is vast, Way more than a mile on that spot. So last year we took our detectors out once again in a grid formation… It took us 8 straight days to complete the street to RP and from GV to the creek. I can tell you without disturbing a single thing, the treasure is not near, next to or around any of the standing or fallen trees in that area. Or next to any rock or boulder in the area for that matter. We were meticulous in our search and held true to a 4 foot spread on every day of our search from beginning to end. 6am until lunch at 12pm and off at 5pm. Wow those were longest most beautiful days of my life. Thank you Forrest. Now, am I not saying it is not there, I am saying, if it is found there…then it was meant specifically for you to have as this area was combed and not by any weekenders or arm chair contenders. Had it been found by us, FF would have announced that he got his Bracelet back as we all were pretty eager to give it back to him. Ahh the stories told during camp fires. The best. Thanks brothers and sisters…fond memories for sure…till next time. Sorry no pictures too tough to hold spacing rope and detector to snap of pictures. Be kind, love one another and Good luck! This is all fascinating…Do you need both books…The Thrill of the Chase and Too Far to Walk? Is it helpful to have both books or just one? Thanks! You put quite a bit into that solution, good job!!! I surely believe that “Just” means to the right. Thanks for sharing your solve process. It is well thought out, imaginative, technical, and attempts to link the books, ATF’s, and knowledge of FF himself to the process of solving of the poem. 1) Final destination seems to lack characteristics described by FF (in other words, isn’t the ideal place one would want to rest their bones). 2) Traversed area seems too large to cover in the time frame established by FF to retrieve the chest (However, I concede that you could counter argue that using the “right map” negates the need to drive/hike the whole way to the final destination, but I would suggest back that doing so is at odds with FF’s desire to get people out looking in nature and your spot has more than 1 viable way of arriving at same). Best of luck with your other endeavors, as well as your future TTOTC ones. I’m on the fence if Forrest is a kind man, some people don’t even think any of this is real, either way im definitely up for the challenge. If I find the treasure, I’m going to Baja for sure, maybe learn to fly. Maybe he’ll even teach me! Although I am running on fumes. I’m so frustrated because I don’t know if I could find the final blaze in the snow. If only he could give me the go I’d be there in a heartbeat. However, I’m still super worried the “treasure” is worth any money. I have enough adventures and stories under my belt and at this point its just become an unnecessary obsession. There’s nothing peaceful about this. So far, I have not seen a comment that is remotely close to my solve.When the snow melts and the creeks run shallow My kids and wife plan to remove the chest from its grave.We made one trip but our effort was thwarted by heavy rain,It caused the streams to jump their banks and deposited a couple feet of silt on top of the chest.We are a no digging crew so our next trip we will attempt to wiggle it out. I want so badly to chime in but that could cause us to lose the fish.I want to be careful not to sound demeaning by sayimg It was so easy and some theories are waay out there,like its in an alien recharging port. If we find that a bear ate the chest or it washed away,I will minimally post a photo of thr BLAZE. That may not be of much help if you have nrver seen it before and know whhat area it marks. There is no chance that it washed away or that it was removed. I am not the guy from Texas with 12 kids a pickup and lost job.I am in Oklahoma with 6 kids a pickup and 100%Combat Service Related Disability so no job. I had a massive stroke that paralysed my left arm and leg. Our last trip almost landed me in the hospital I was determined to get to the spot and overdid it by a lot. Good Luck yo everyone,after my kids find a present for Mommy. I like your confidence – go get her!!! Be mindful that spring runoffs are the most dangerous times to be near the overflowing streams. The chest will not be found in the floodplain of a stream. Anyone who thinks otherwise doesn’t understand the power of nature.